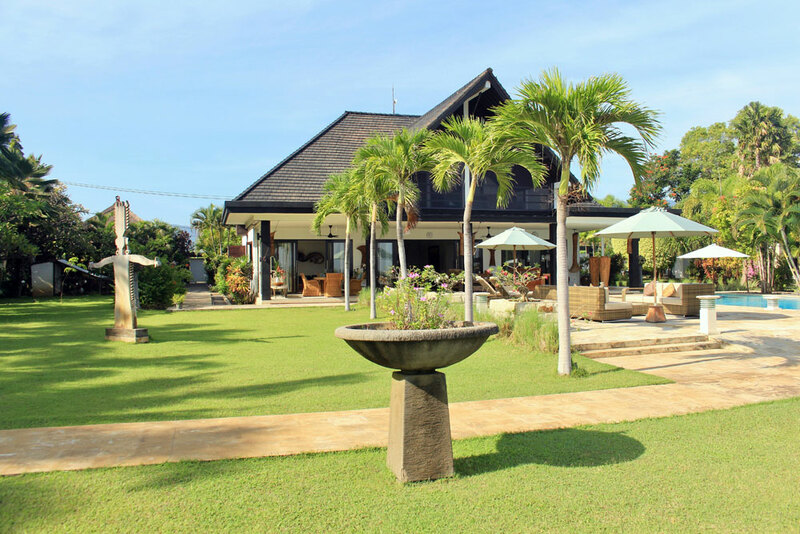 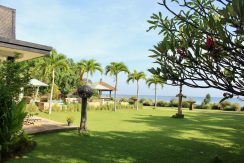 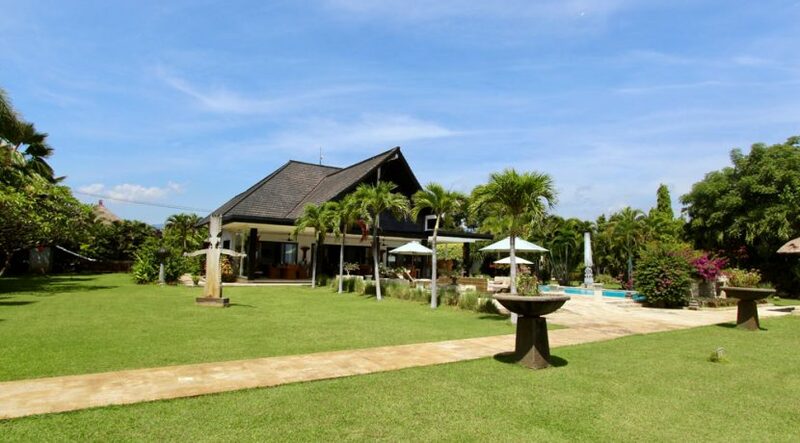 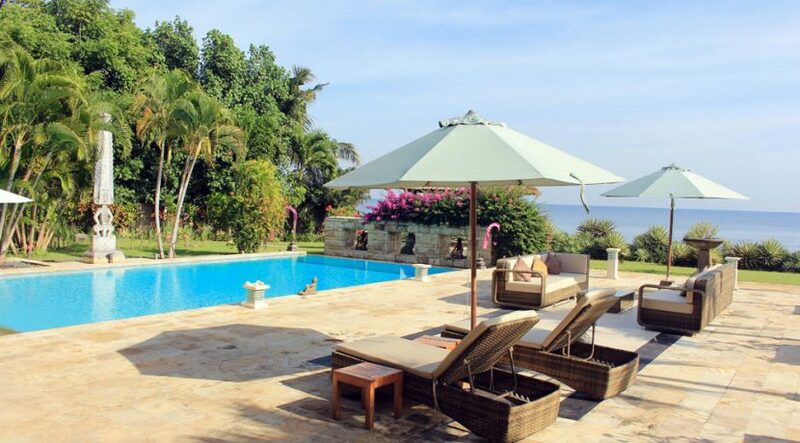 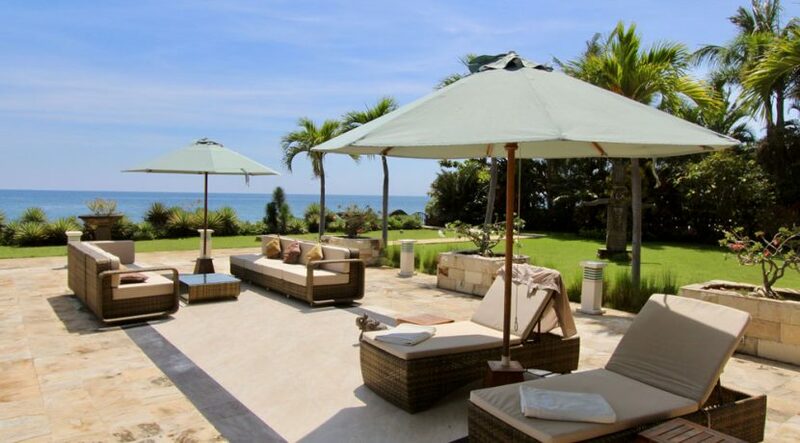 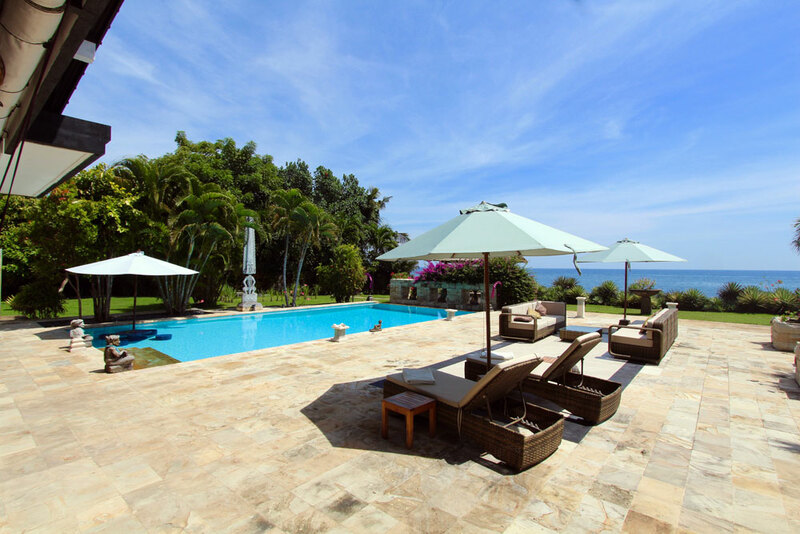 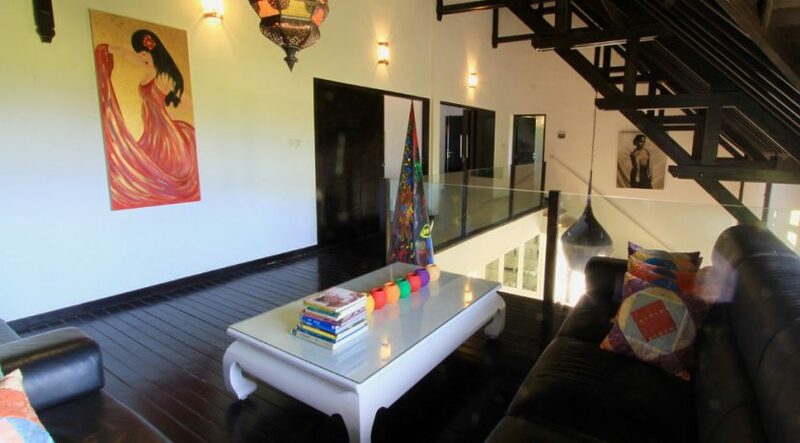 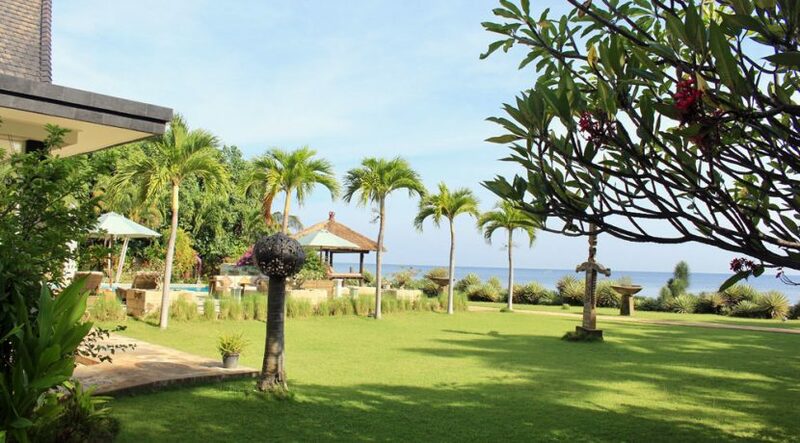 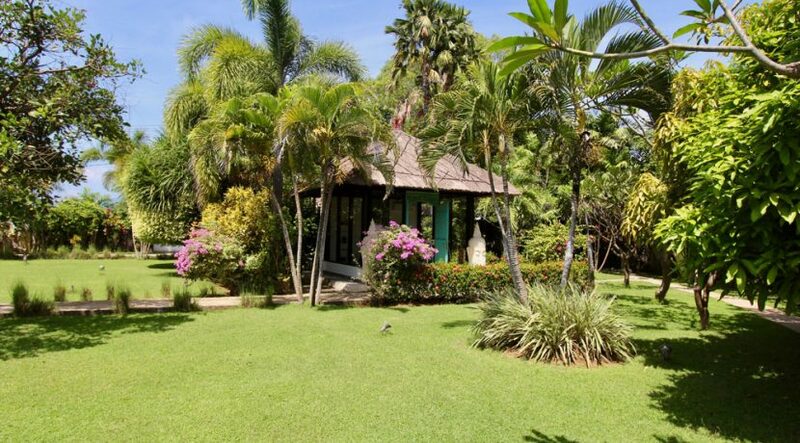 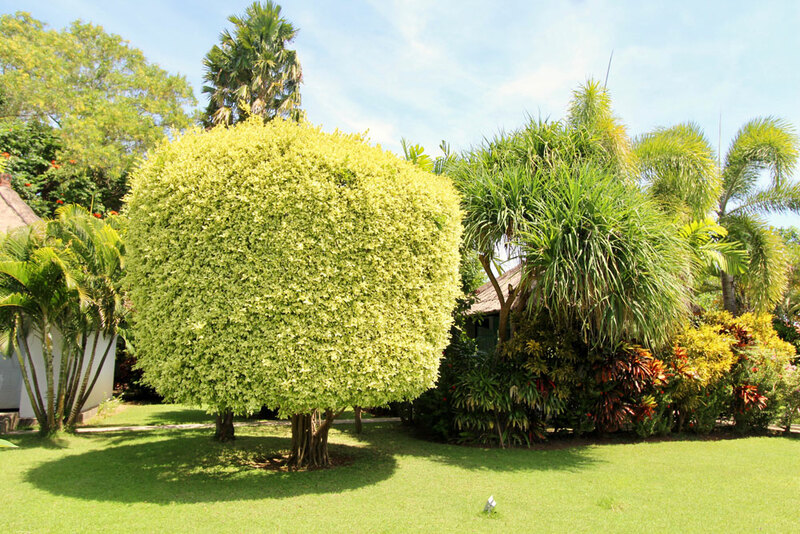 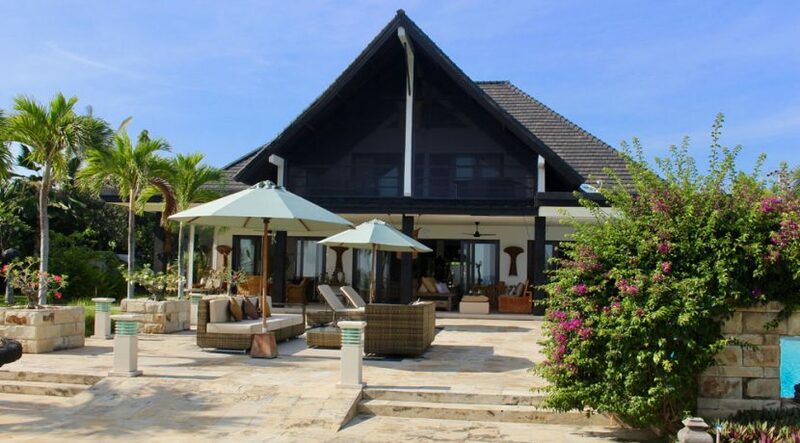 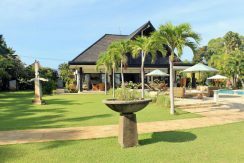 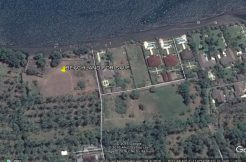 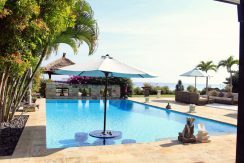 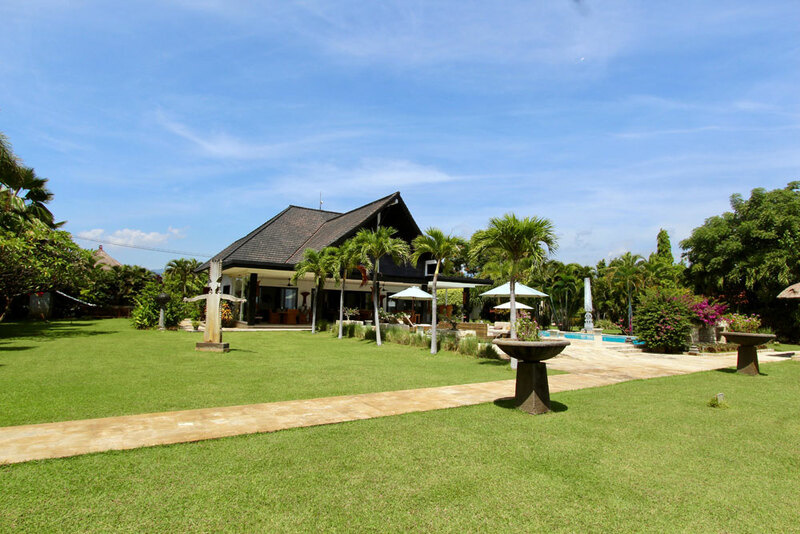 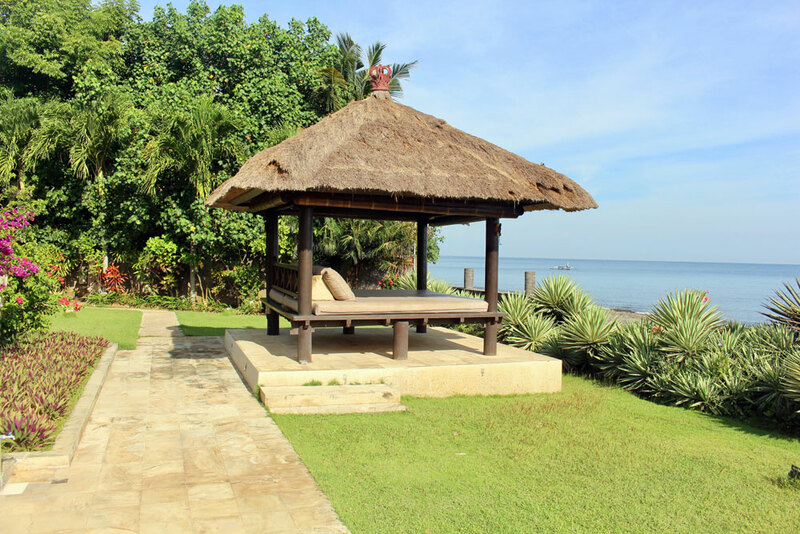 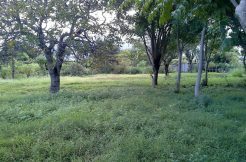 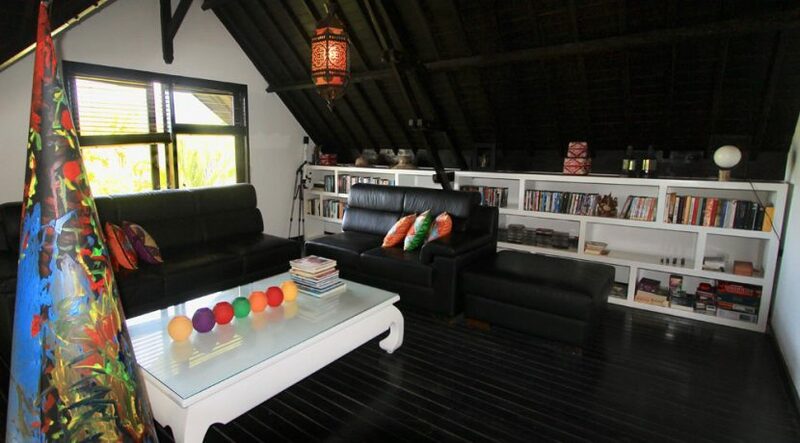 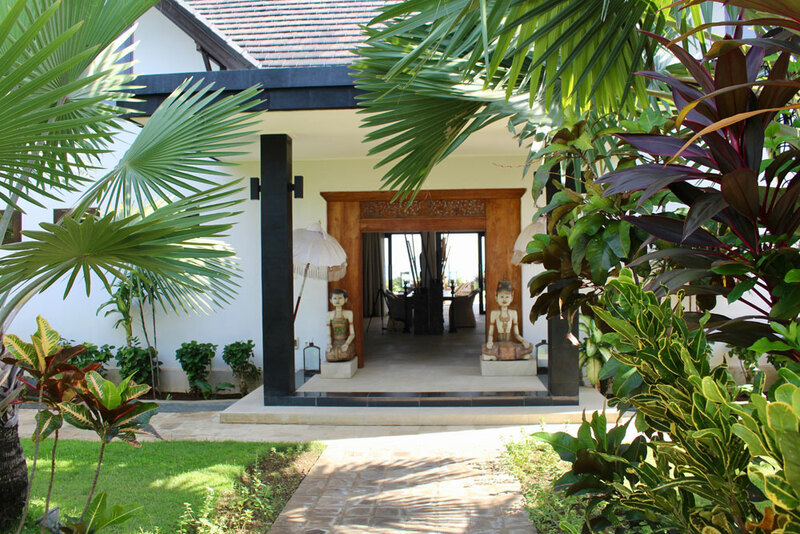 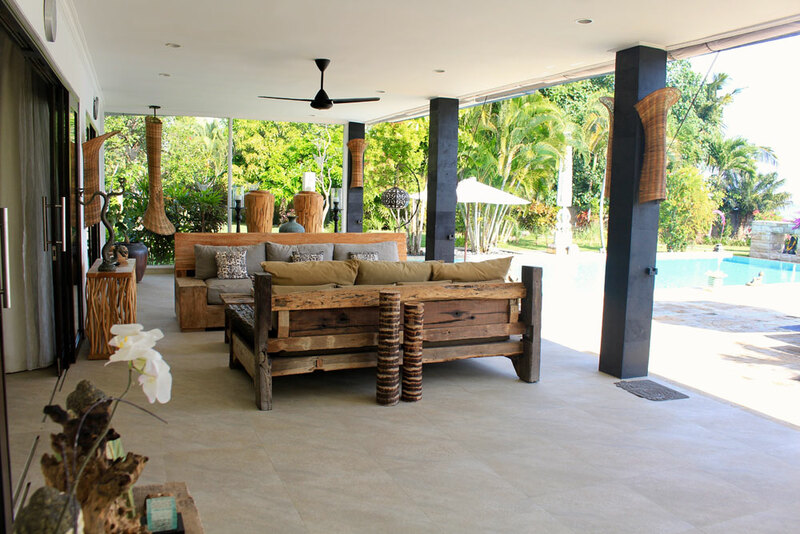 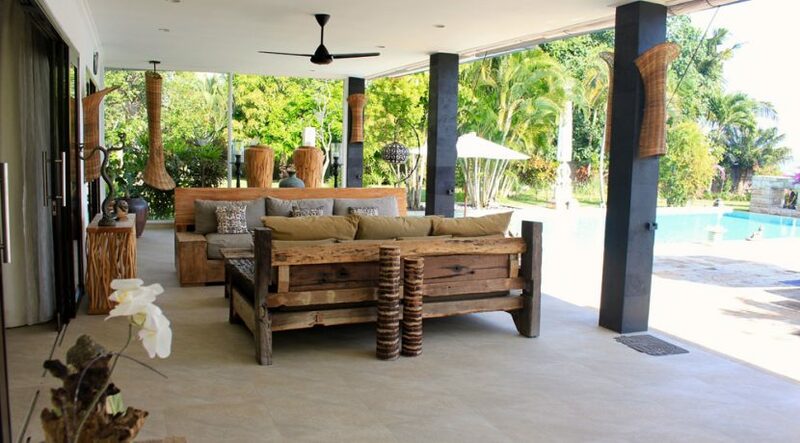 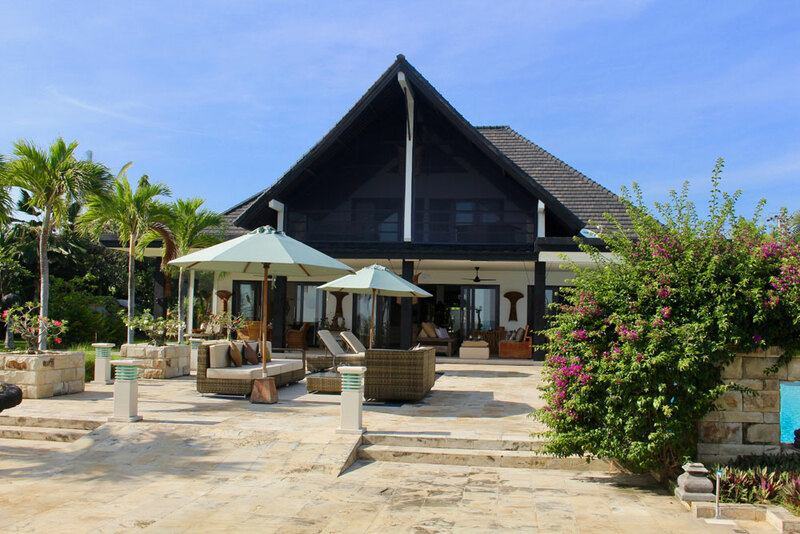 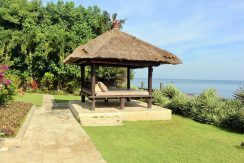 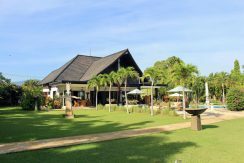 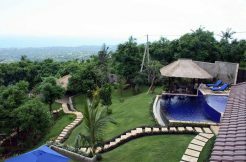 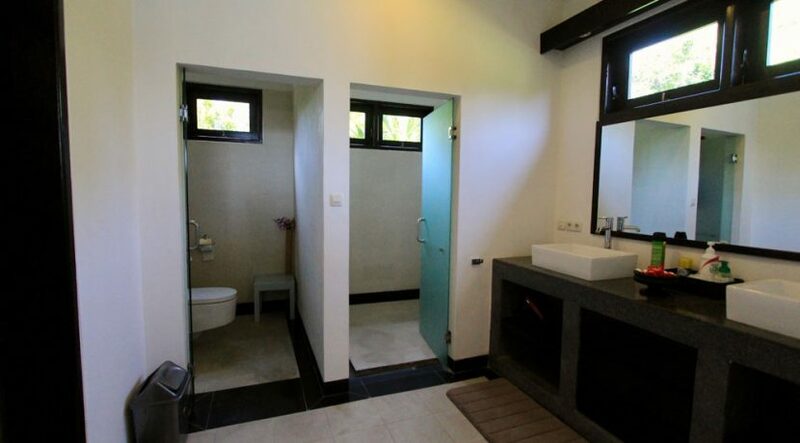 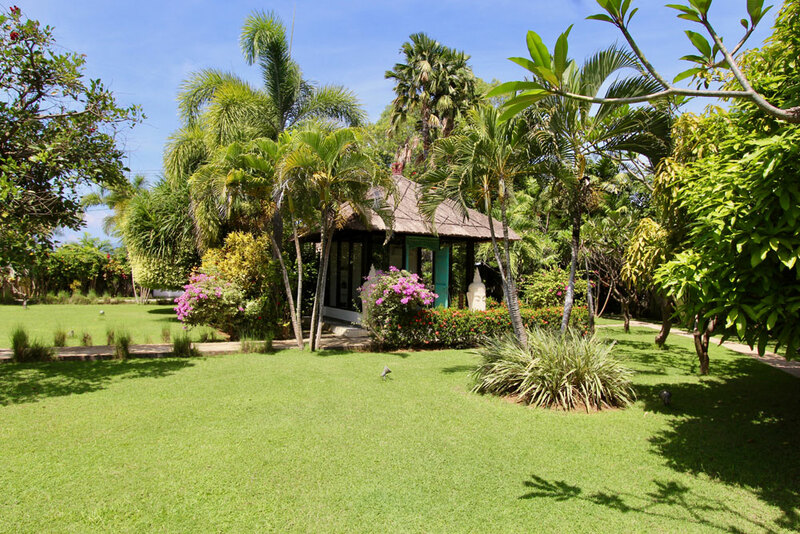 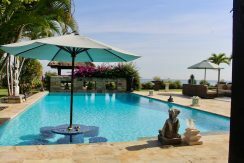 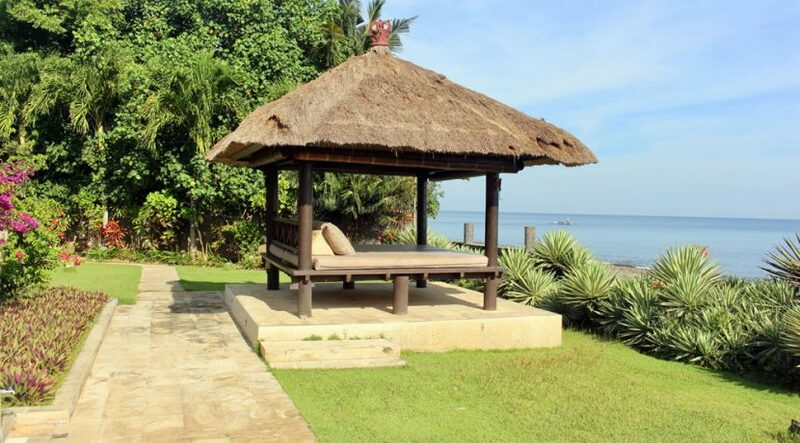 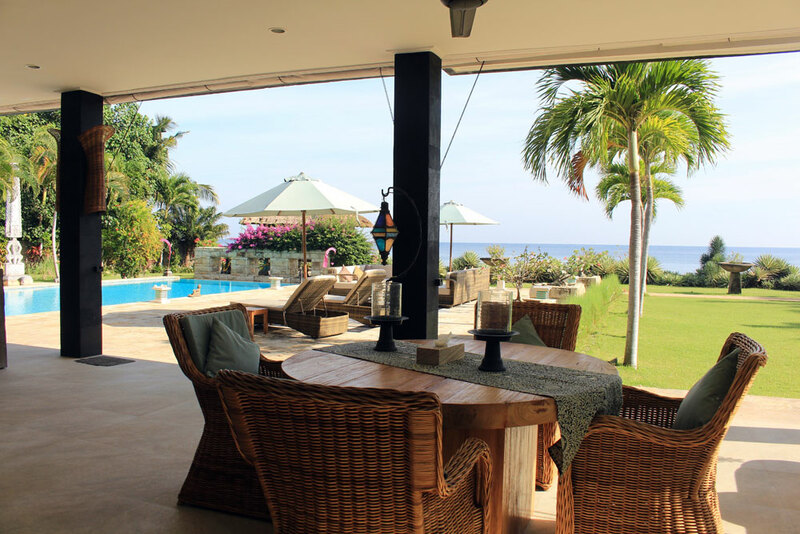 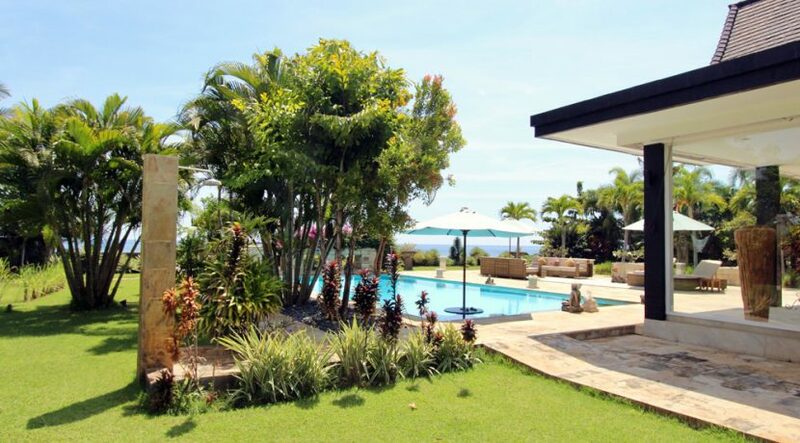 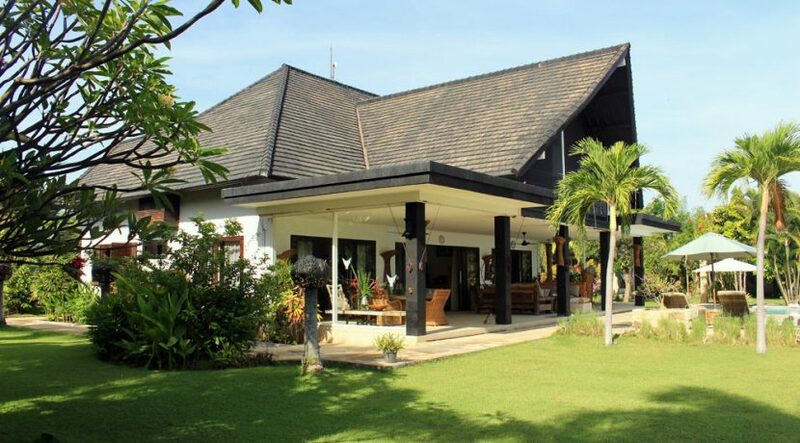 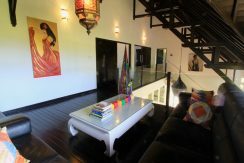 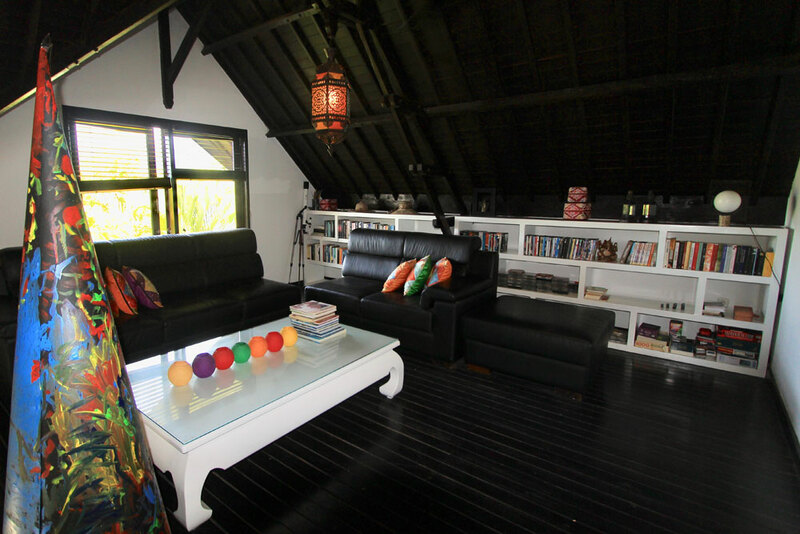 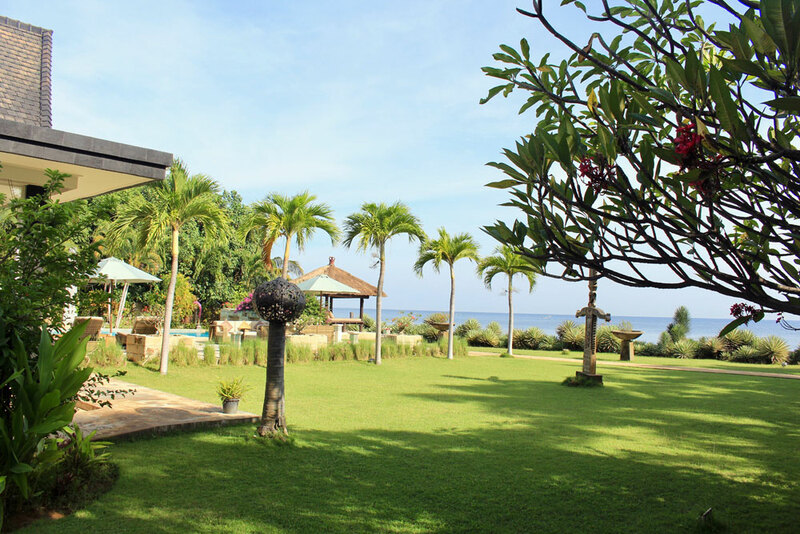 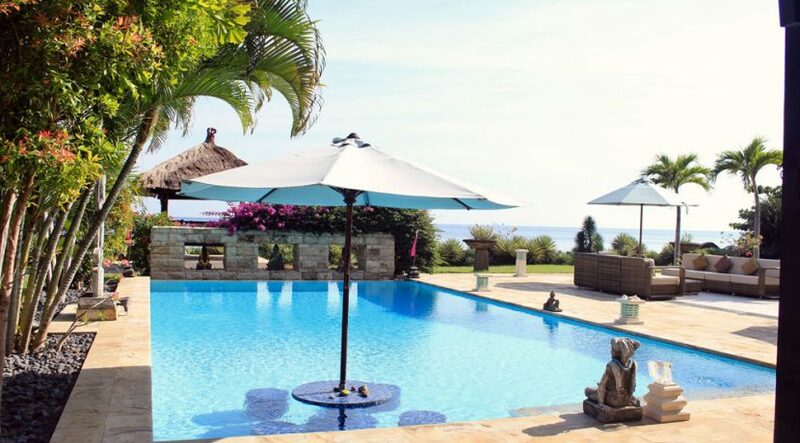 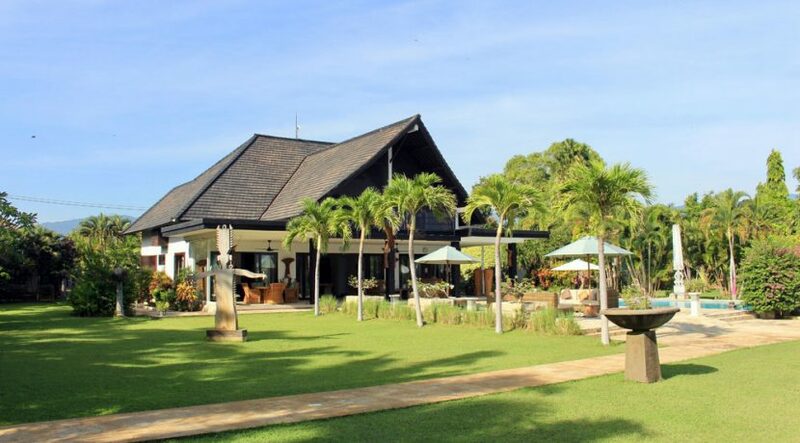 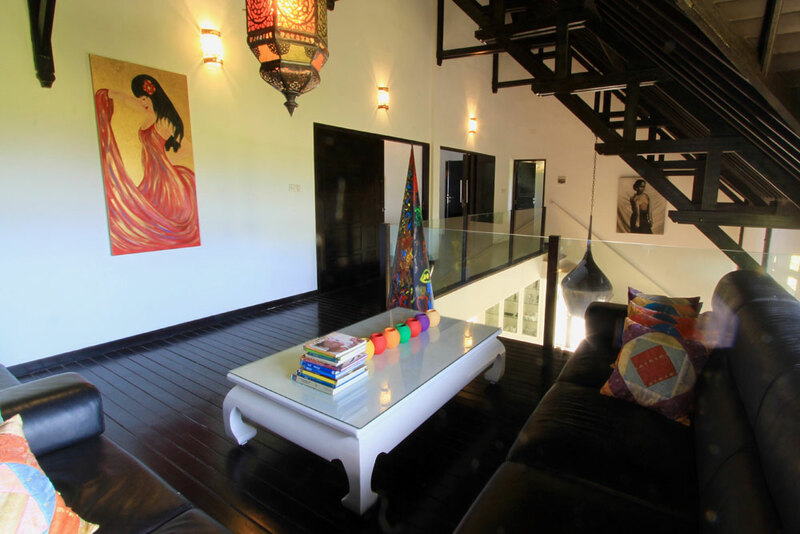 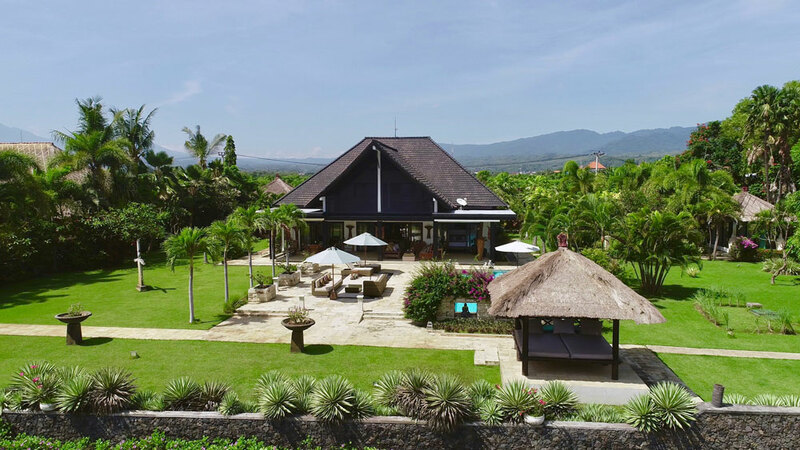 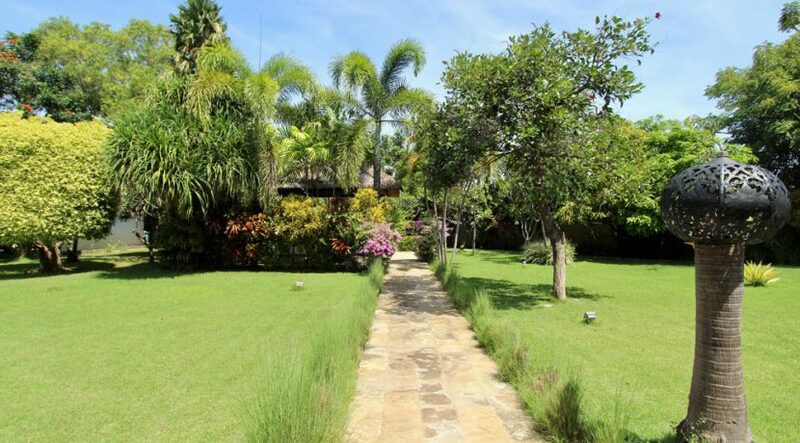 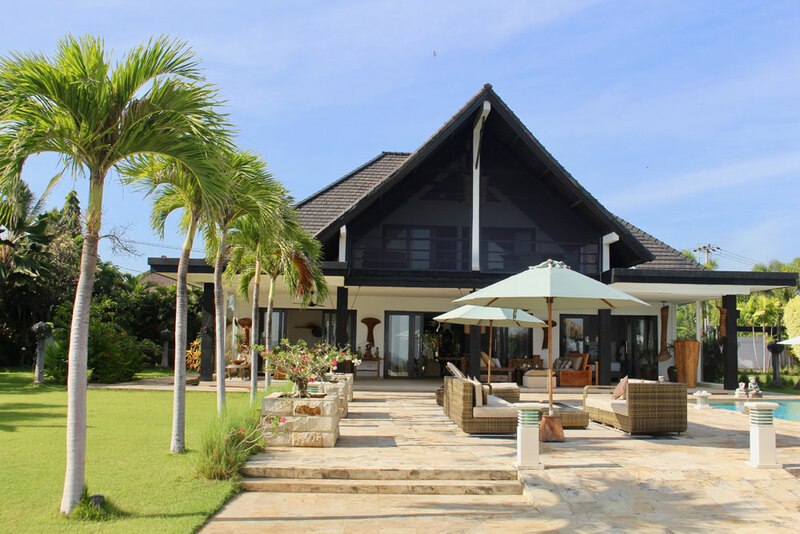 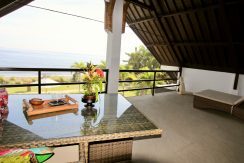 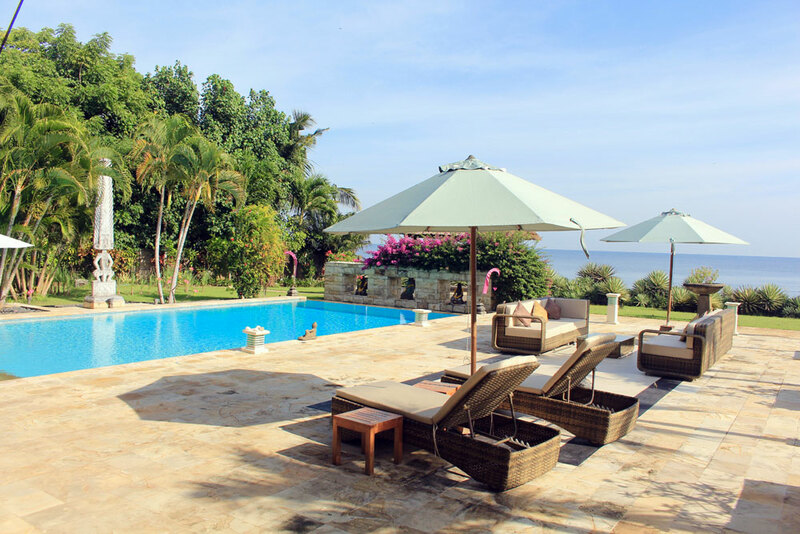 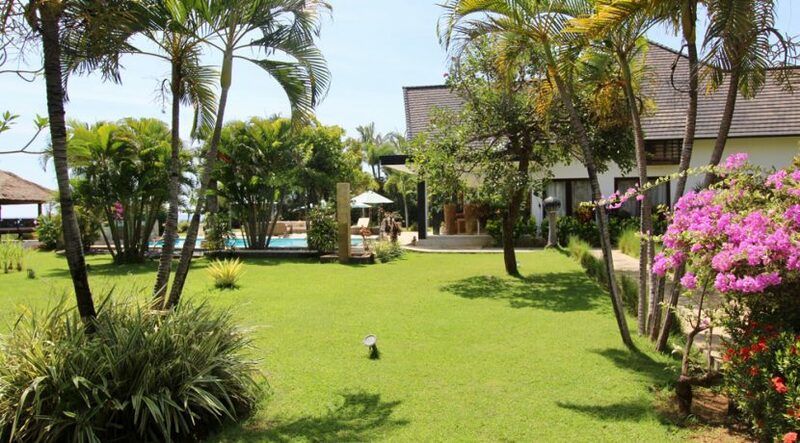 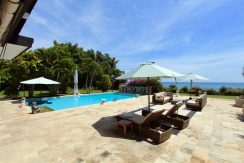 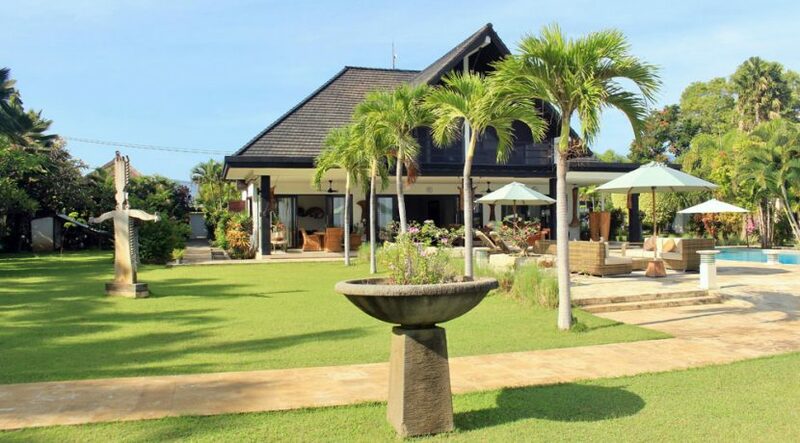 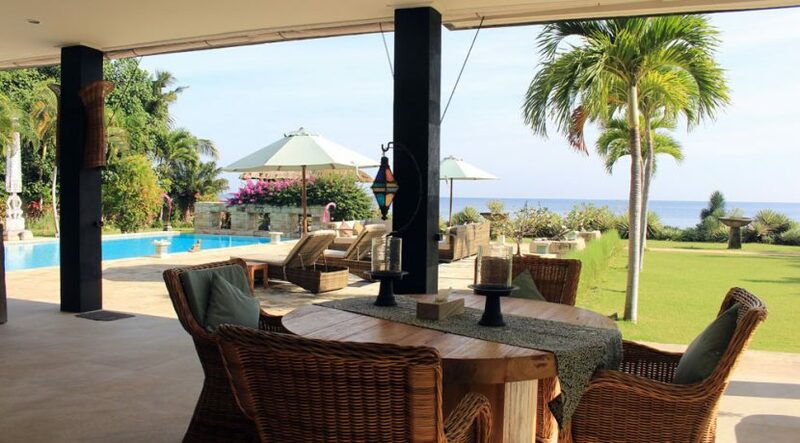 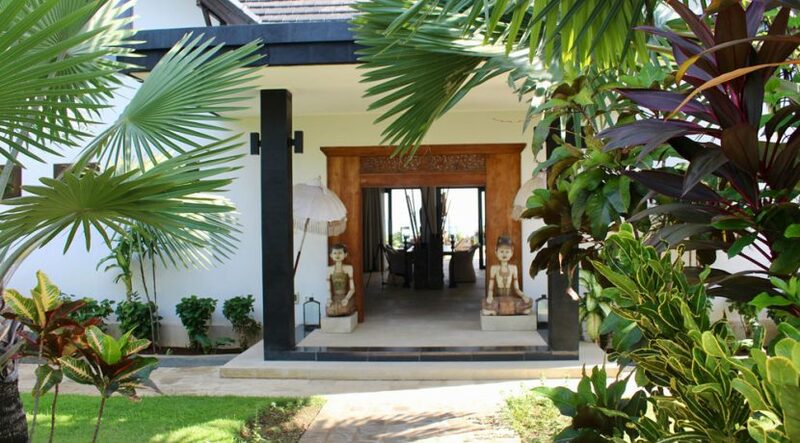 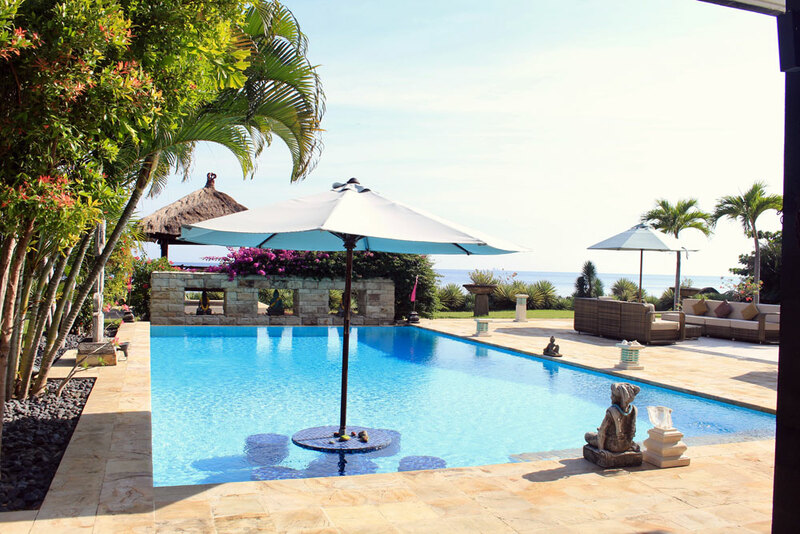 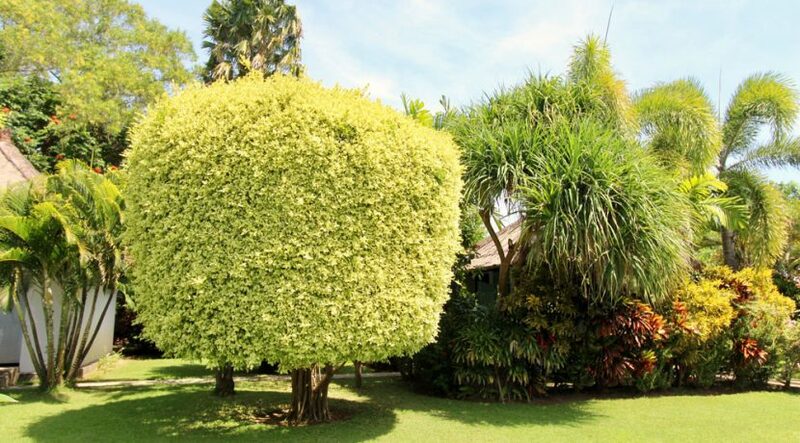 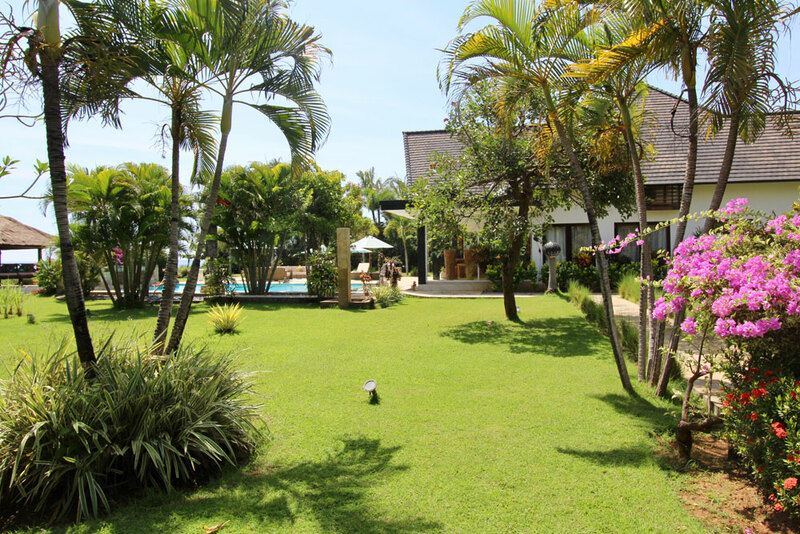 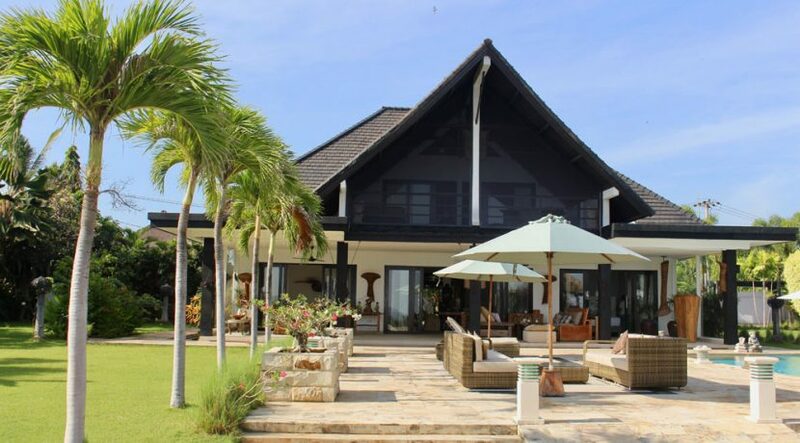 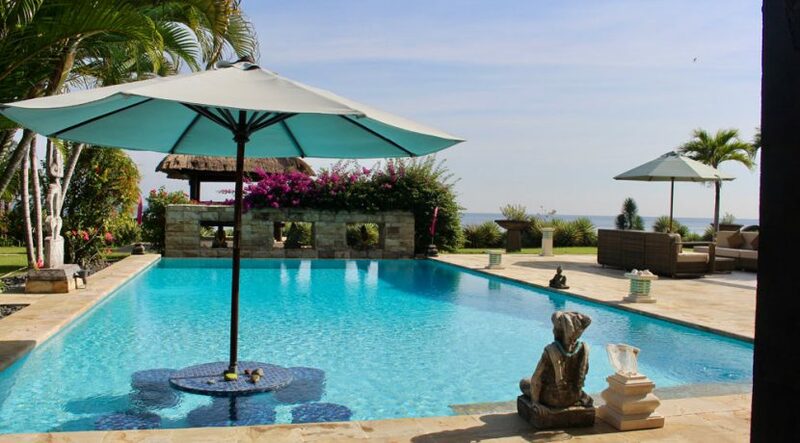 This beautiful beachfront property is located in Lokapaksa – just a few km West of the famous tourist town Lovina. 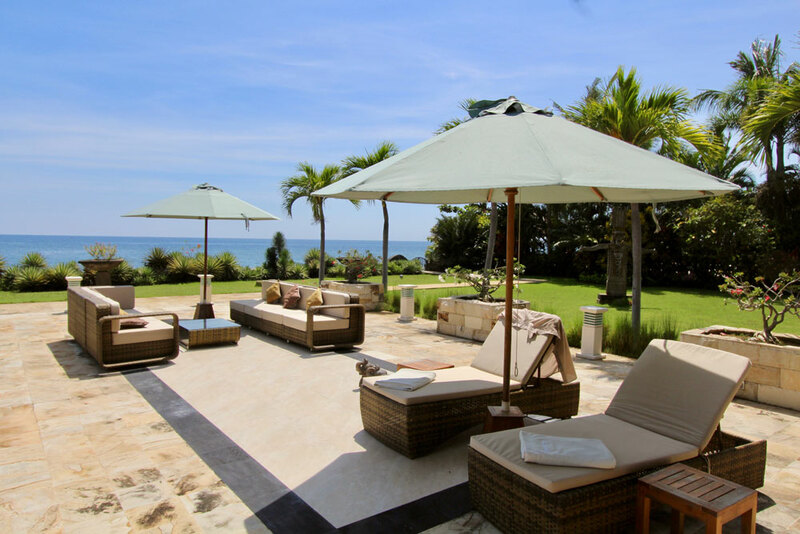 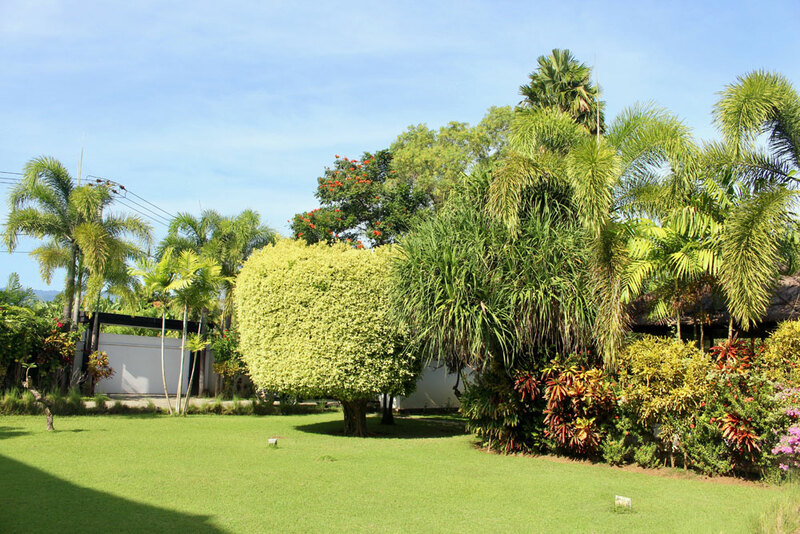 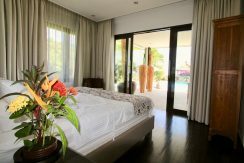 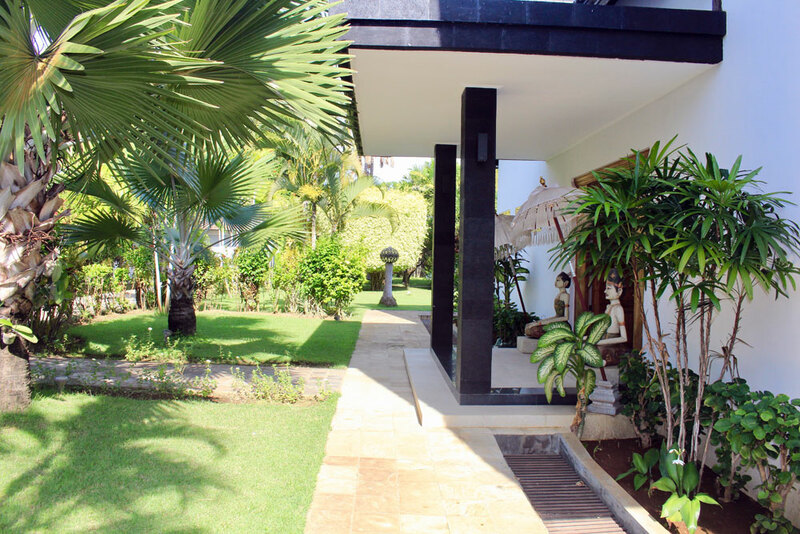 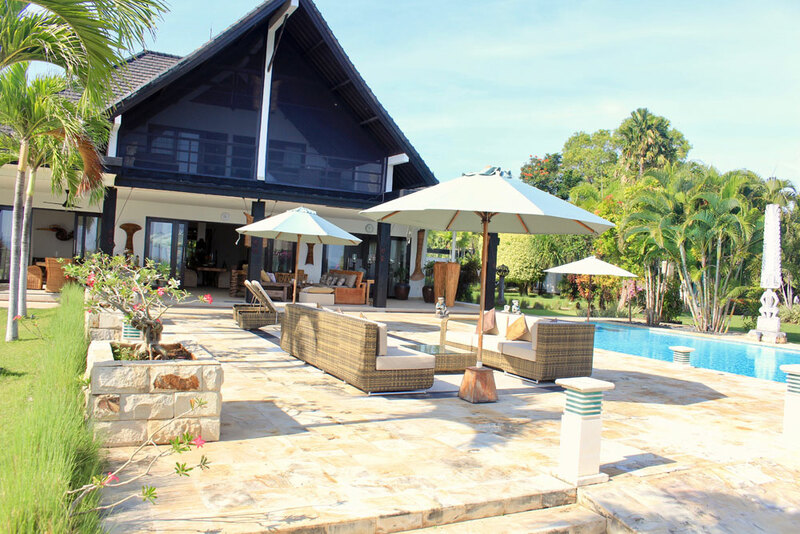 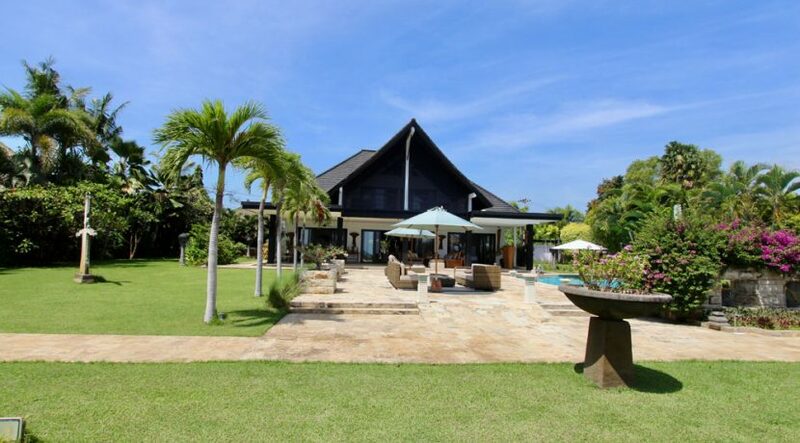 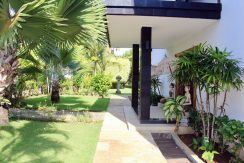 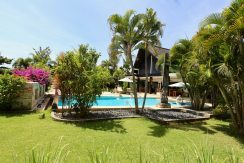 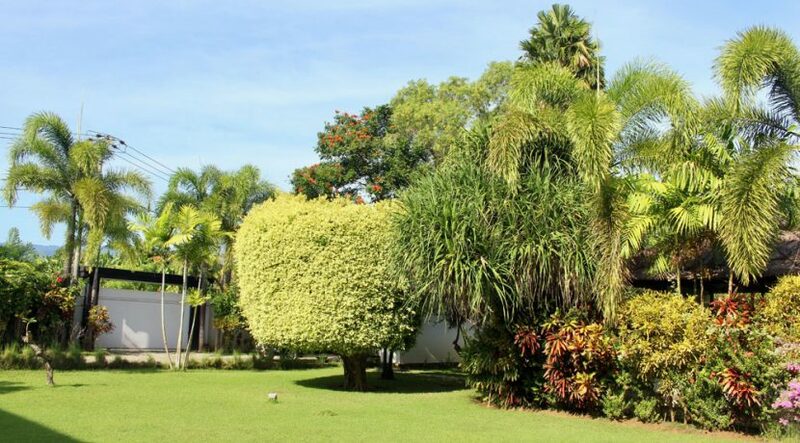 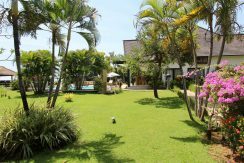 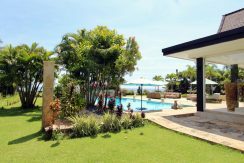 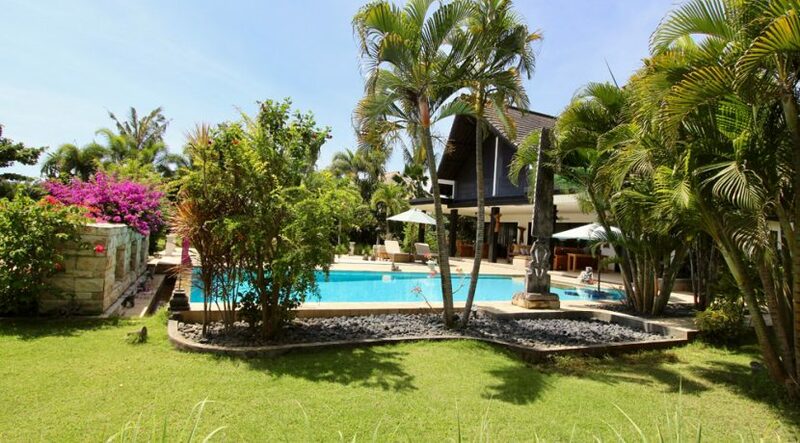 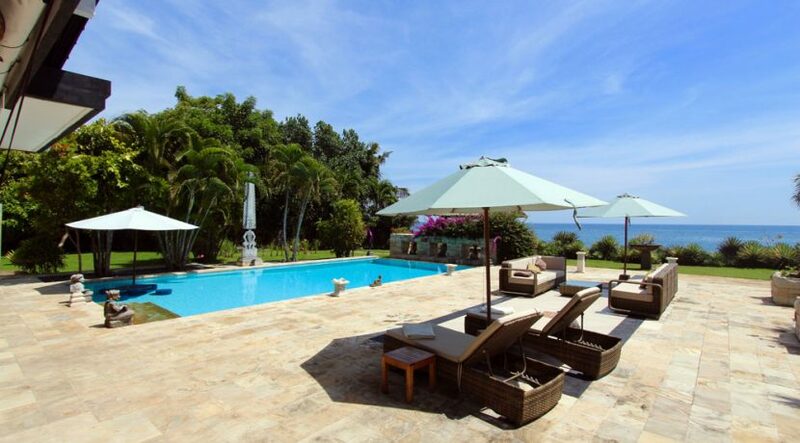 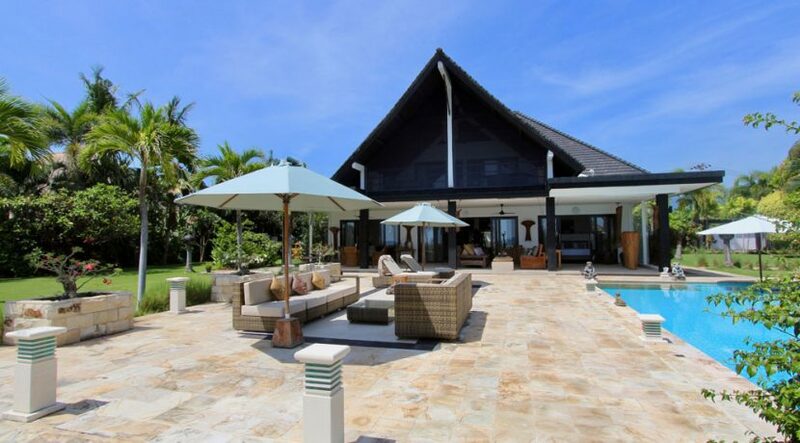 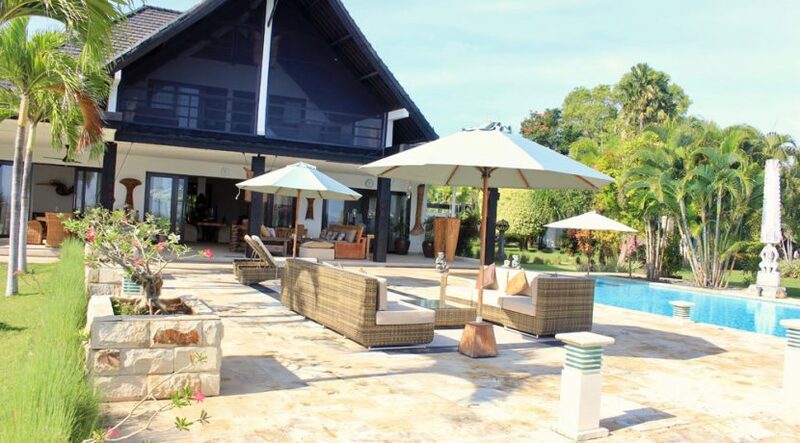 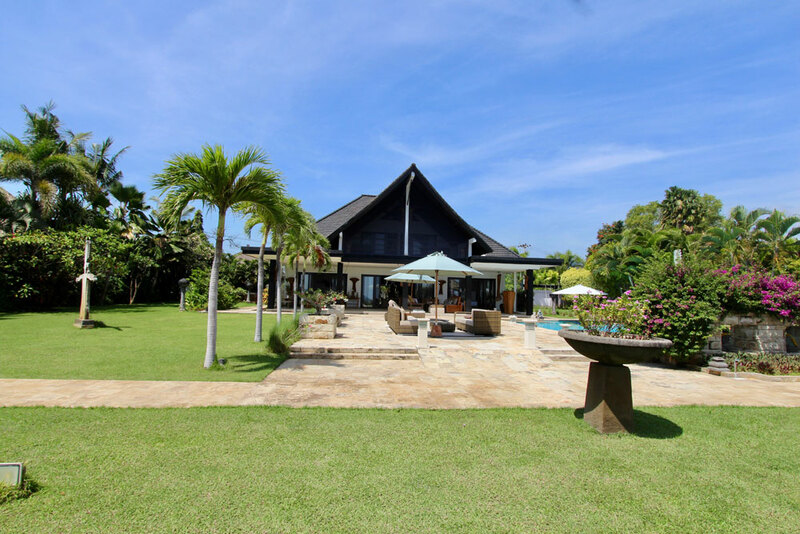 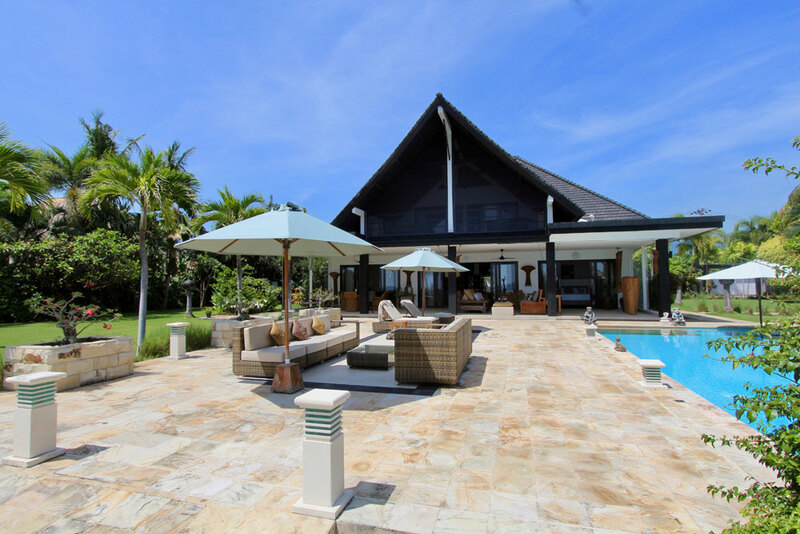 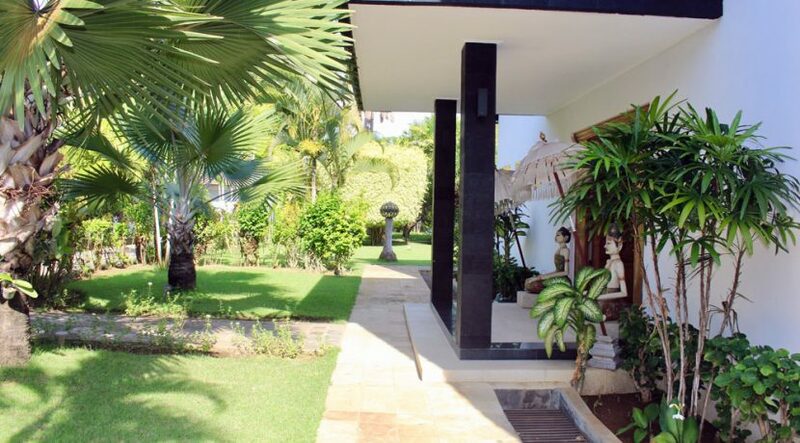 The multilevel villa has 4 bedrooms with 3 en-suite bathrooms and is built on 30 are (3000 m²) oceanfront land in a small Villa Estate close to Seriritand has a living size of 400 m². Spectacular ocean and mountain vies are natural and the large tropical garden with its spacious sun & pool deck invites to stay for ever…..
Second floor: Lounge area with a small library. 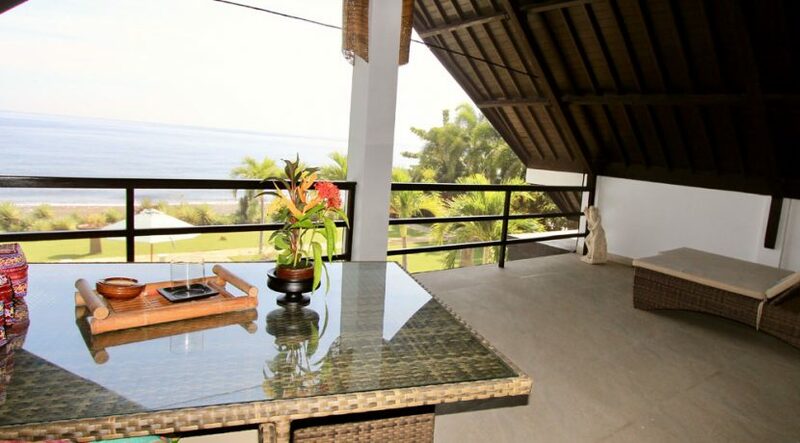 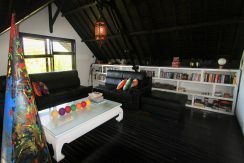 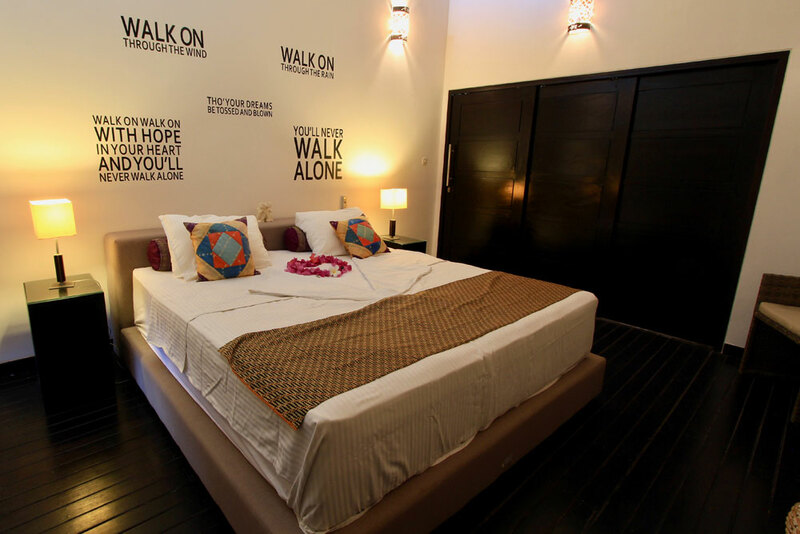 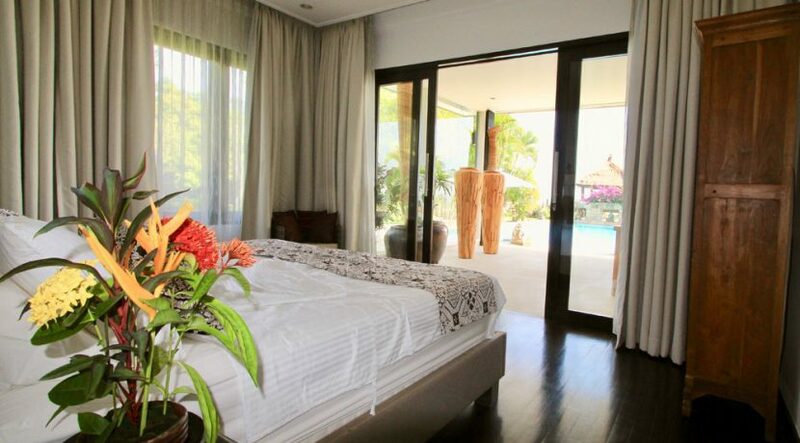 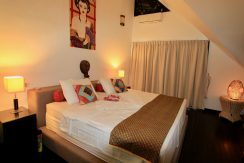 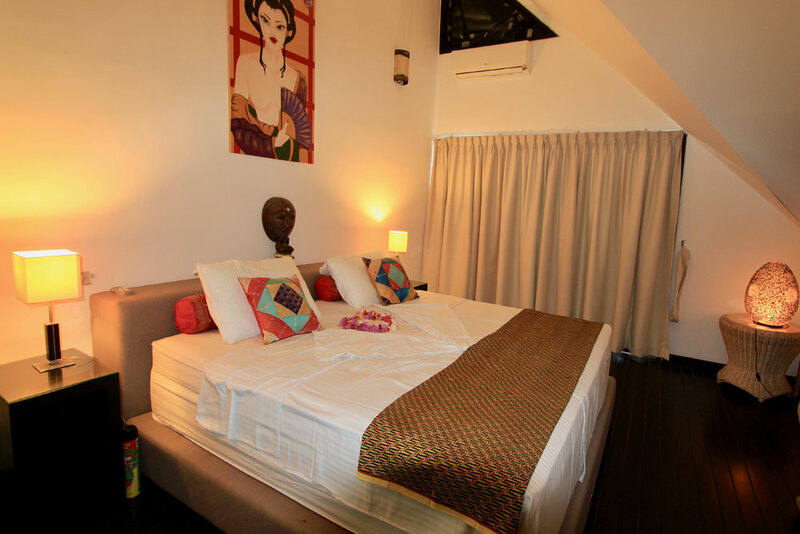 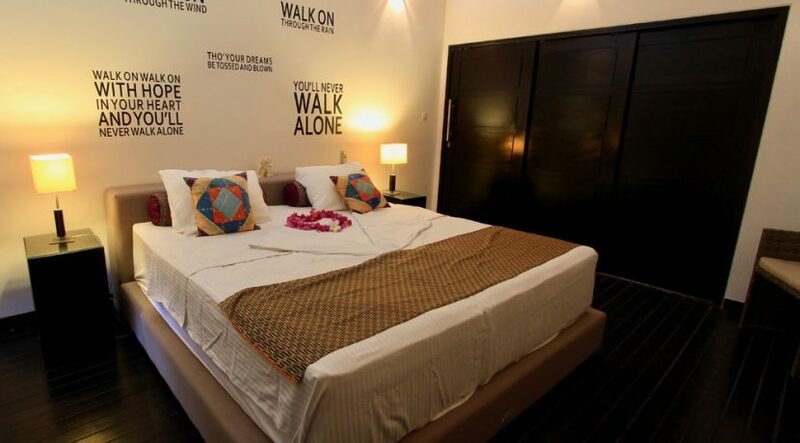 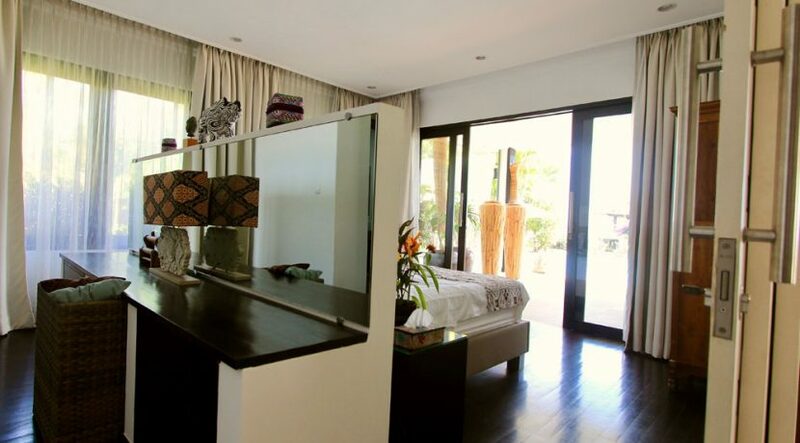 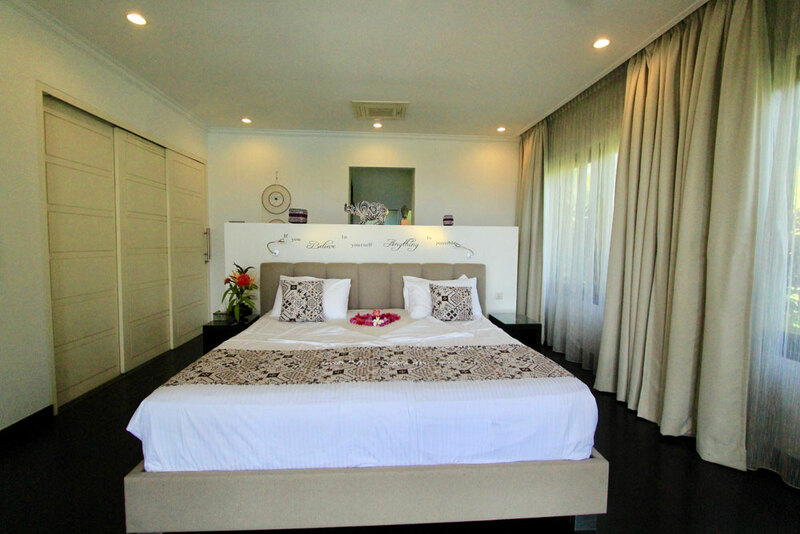 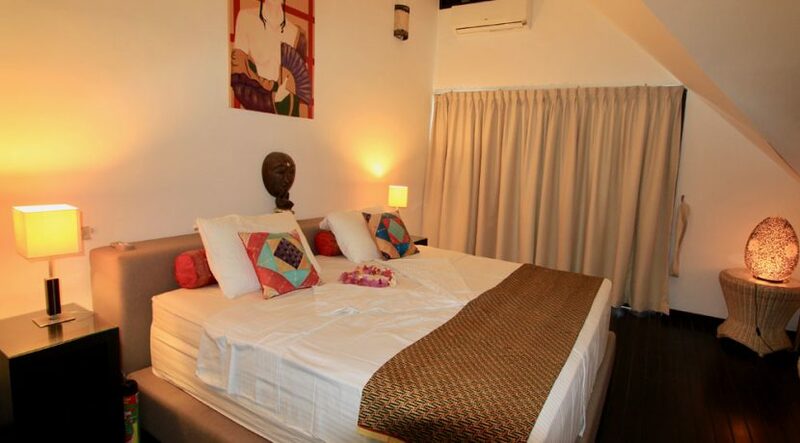 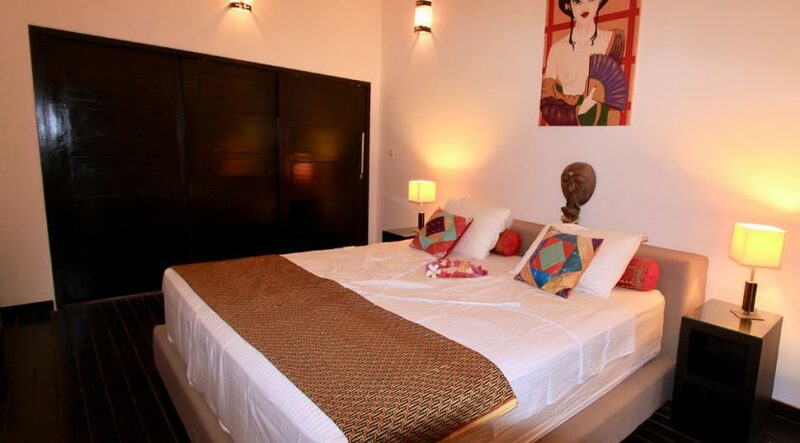 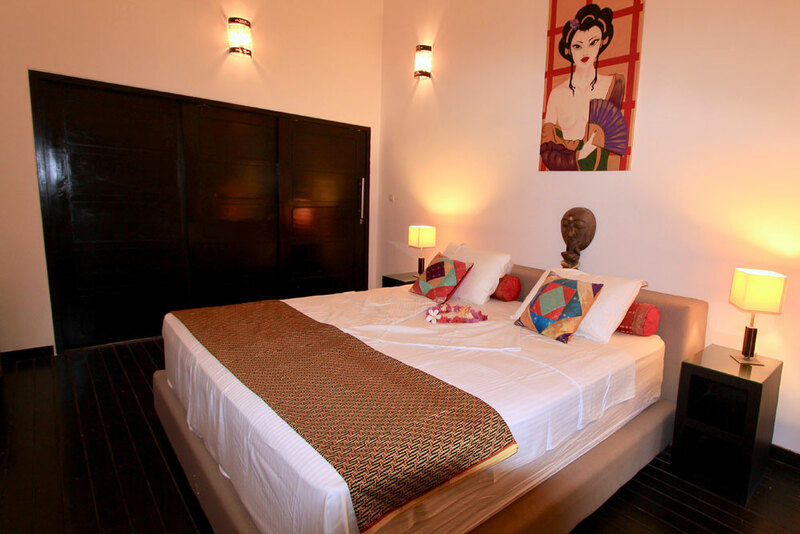 2 big bedrooms with en-suite bathrooms and direct access to a large balcony with ocean view. 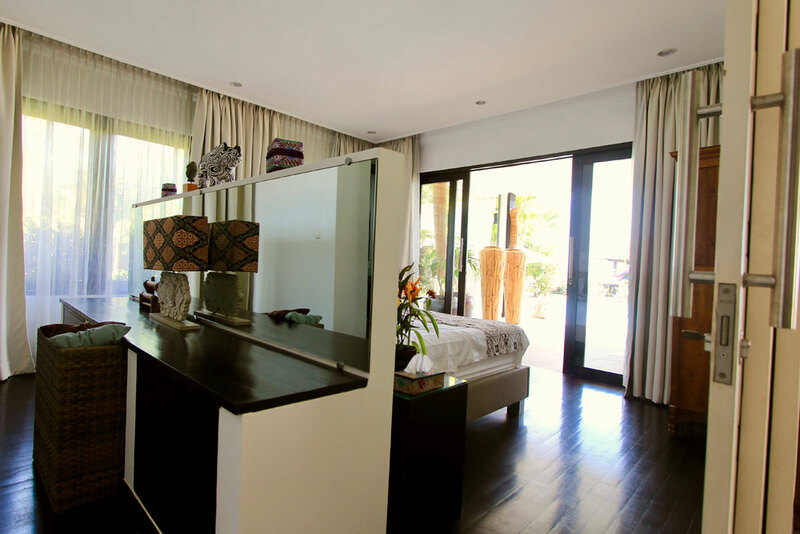 The 3rd bedroom on this floor has no en-suite bathroom and is meant to be used by children/kids. 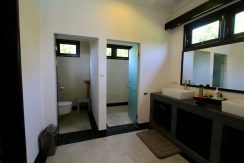 The modern kitchen is fully equipped, with American fridge , dishwasher, oven, etc etc ..
Next to the kitchen there is a big storage place with extra fridge and water dispenser. 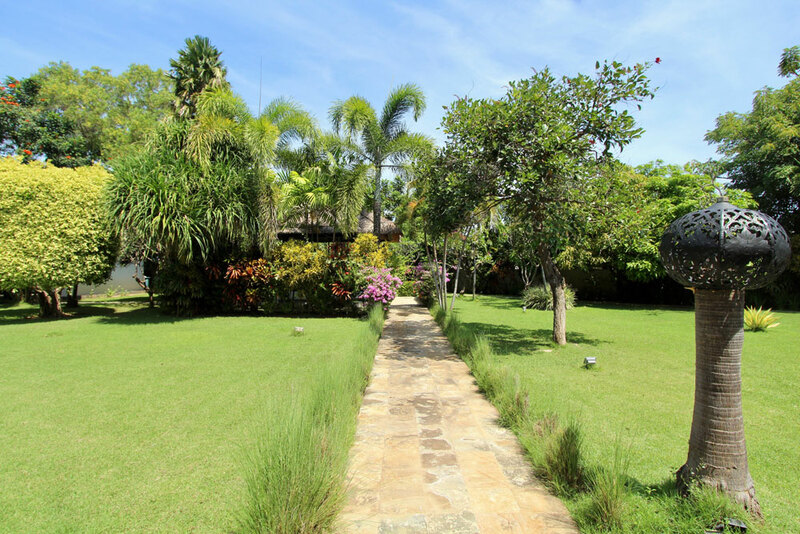 Watch here the drone video of this property!